Phoenix, Arizona is a modern day boomtown. It just keeps growing and growing and … well you get the idea. Over the past forty years it has grown on average about 4% annually, which means lots of folks are migrating there. Today it ranks as the 6th largest city in the United States with a population as of the 2010 census of 1,445,632. 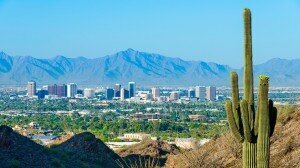 That makes Phoenix easily the largest city in Arizona and also state capital in the country. It has a subtropical climate that is ideal for alfalfa, cotton and citrus crops. Nearby hay fields serve the cattle industry. Copper mining is also big business in Phoenix, which was incorporated in 1861 as an agricultural community near the Salt and Gila Rivers. The huge and ever growing population of Phoenix makes it ideal for the car shipping industry. Phoenix is an important and vibrant tourist destination. The balmy warm weather in the winter months attracts snowbirds from the northern and midwest states, who hibernate in Phoenix half the year from roughly November to April. Major League Baseball teams conduct Spring Training in February and March. Those 15 baseball teams are known together as the Cactus League, and include three time World Champions the San Francisco Giants, the Oakland A’s, Los Angeles Dodgers and Cincinnati Reds. Phoenix also attracts Spring Break college students, many of whom flock to see the baseball players. We are very aware of all the baseball players because they use our instant auto transport quote calculator to ship their cars. The Phoenix Suns basketball team is a big draw for local sports fans and usually very competitive. 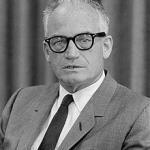 Arizona Senator Barry Goldwater ran and lost the 1964 Presidential Election in a landslide to President Lyndon Johnson. Goldwater is revered in Phoenix and his name can be seen around town to this very day. 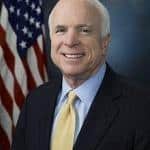 Senator John McCain suffered the same fate as his hero Goldwater, losing the 2008 Presidential Election to President Barack Obama. On a brighter note, Phoenix gave us the first female Unites States Supreme Court Justice when President Ronald Reagan nominated Sandra Day O’Connor to the bench. Direct Express Auto Transport originated the instant quote calculator, which especially works great in Phoenix, Arizona. It is today considered by many to be the most reliable in the auto transport industry. Try it here on this page.